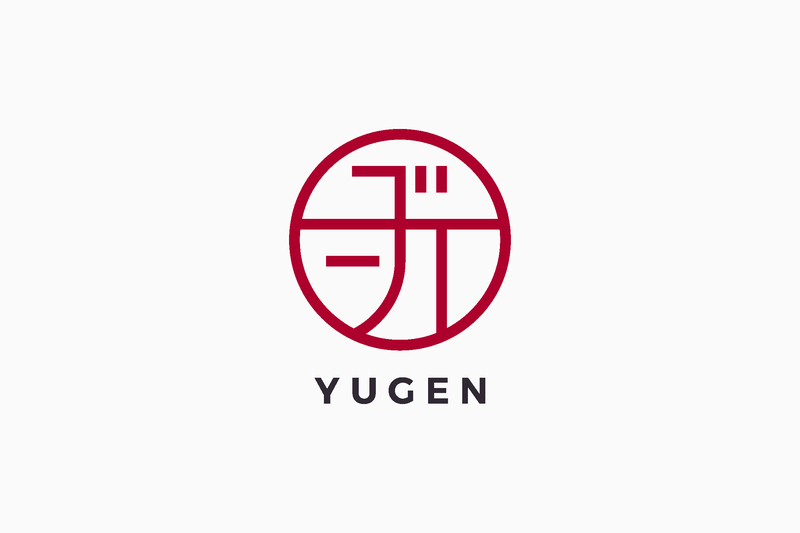 This is a logo for a store called 'Yugen' in Kyoto, opening in 2018. The store sells authentic made in Japan products that are hand-picked by the owner. He recognised a gap between traditional and high-quality Japanese products, made by true artisans, and mass-produced products for tourists looking for stereotypical Japanese souvenirs. He dreams of being a bridge that connects artisans and consumers, creating more opportunities for people to experience the authentic crafts of Japan. 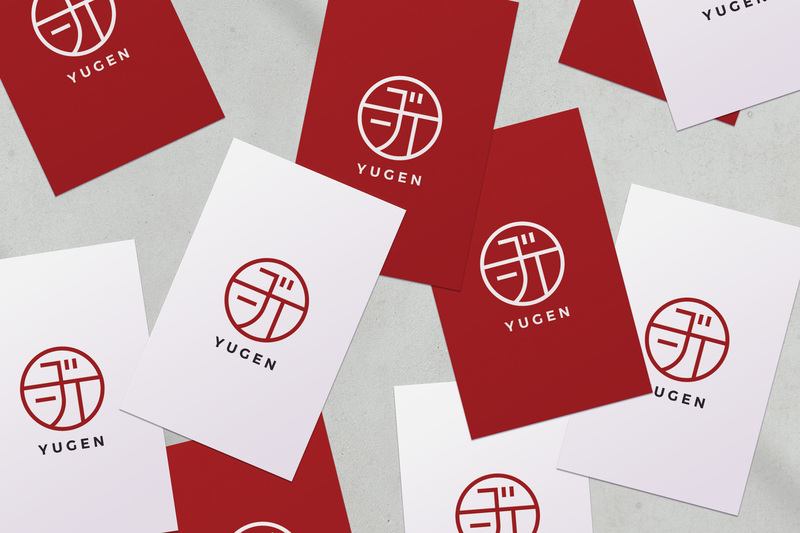 ‘Yugen' means subtle and profound. The owner chose this word to convey Japanese craftsmanship; the profound history, refined process, hidden concepts and subtle appearance of inner-beauty. We created a logo that has the appearance of a Japanese Kamon (family crest), creating a pattern with the Katakana alphabets of Yu, Ge and N. This is subtly hidden, like its meaning. 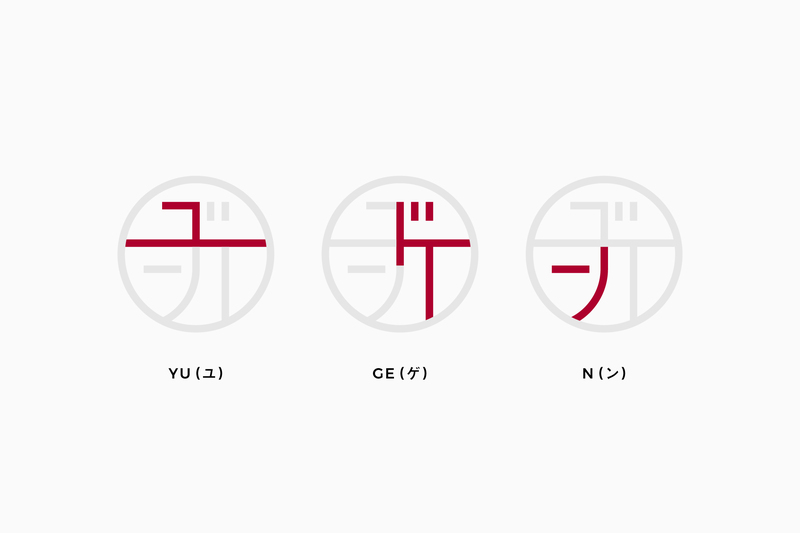 Katakana alphabets have been commonly used worldwide in the recent years, which we felt was perfect for the concept of Yugen; expanding Japanese goodness to the world. 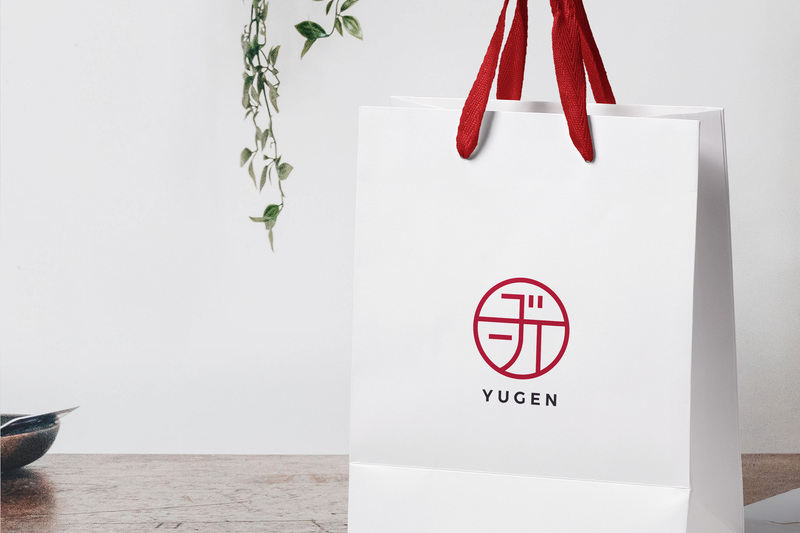 The red colour in the logo was historically only allowed to be used by the upper-class society in Japan, highlighting the quality of Yugen’s products.